Most anthropologists believe that people first ‘domesticated’ fire over one million years ago; some believe it was very much earlier. I believe it is hard to overstate the importance of fire in our evolution. 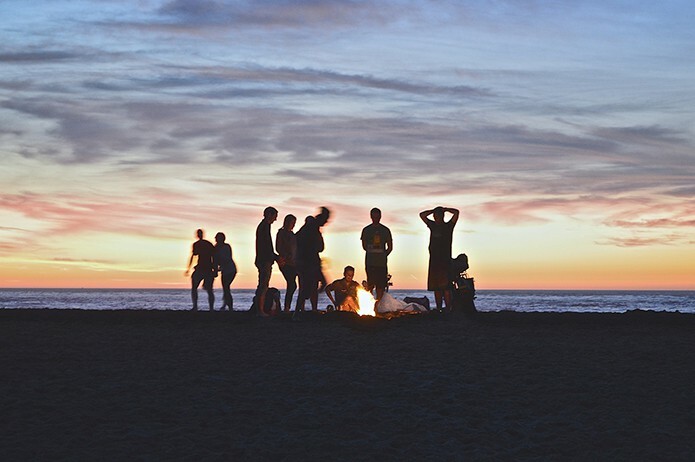 Fire gave the obvious benefits of warmth, light, protection and the ability to cook our food, but it also offered the ability to lengthen our day and, as happens around a modern day campfire, people tend to sit in a circle facing each other and communicate. 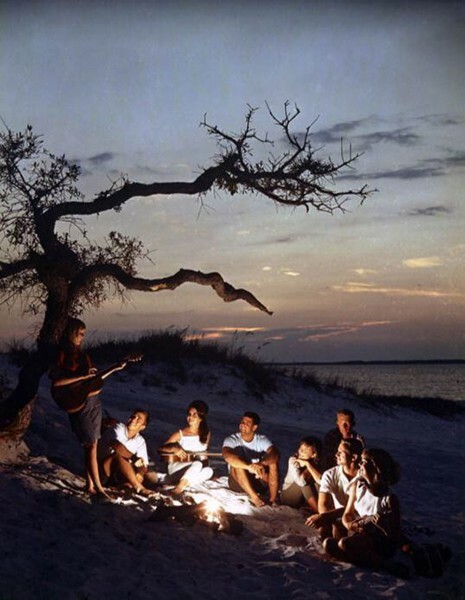 Fire facilitated our nascent social development and our physiological development as we adapted to cooked food. Our ancestors were using fire before they were truly human – it is, in fact, fire that made us modern humans. If you have ever wondered at our fondness for wood fires and candlelight – it is simply because fire is our oldest friend. 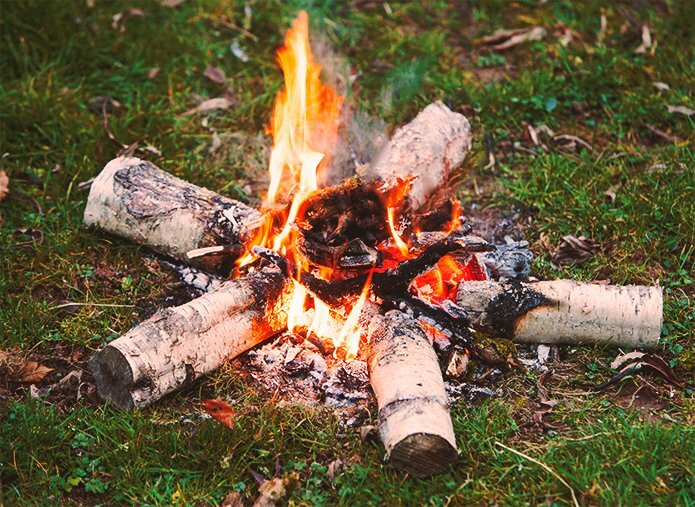 It is helpful to consider the campfire and the home fire separately as there are a number of fundamental differences to how each is approached. I find it very satisfying to have developed some fire skills throughout my life – partly by trial and error, but mostly through what I have learned from the tough old people I’ve met through a lifetime of woodland work. I am indebted to them for the generous way in which they shared their knowledge. 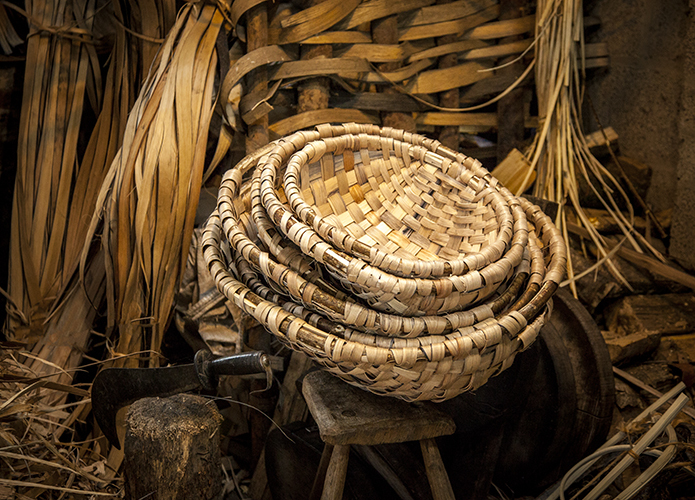 Make no mistake, any fool can set fire to a pile of wood – that is not fire craft. 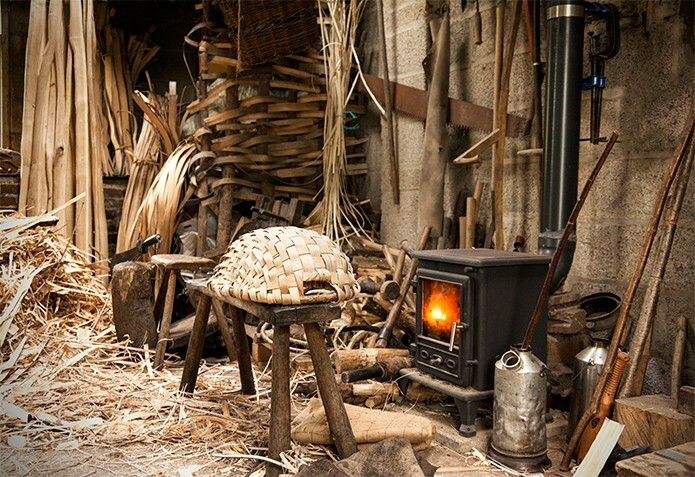 The wood fire skills you need are easy to learn, after all, not so very long ago it’s what everybody did. 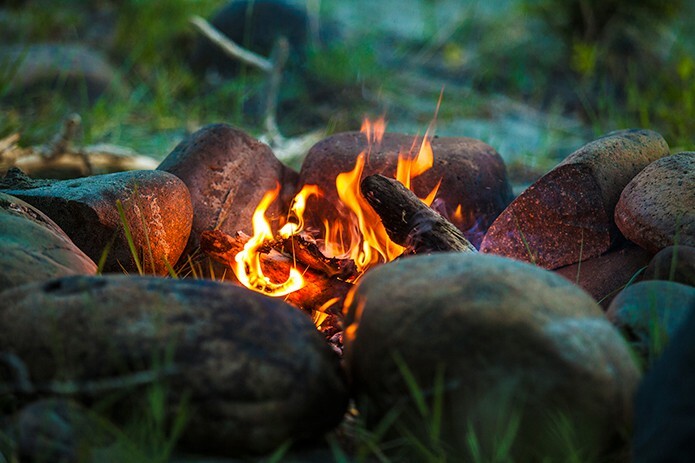 An outdoor fire is a huge responsibility as it has the potential to escape and cause huge damage to property, livestock and the wider environment. The first consideration should always be, is it safe to light a fire and is it legal? In seeking the landowner’s permission you will have answered the legal question. In considering fire safety you must make a judgement on the proximity of inflammable vegetation, especially plants such as molinia grasses and gorse, and the ground that the fire is to be built on. Never build a campfire on dry peat or deep leaf litter. This is also the time to plan how you are going to put the fire out again when you are finished with it. 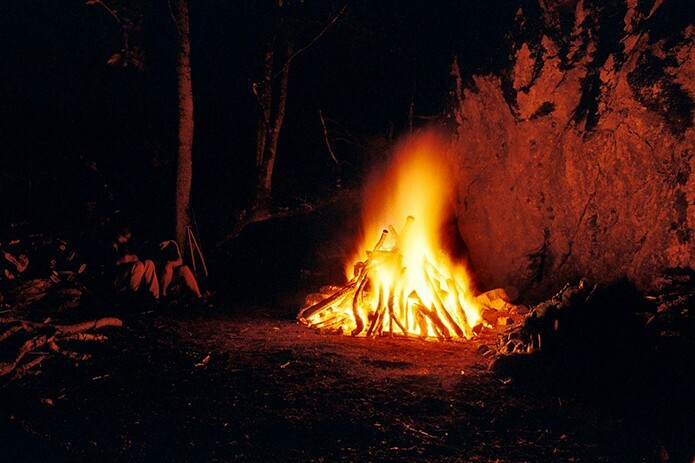 The campfire is not restricted by the size of hearth or chimney and I always find it particularly interesting to plan the type and size of fire I am going to make – to build a fire fit for purpose. Most fires are built as a simple pyramid of sticks, this is a good design to sit around, but relatively poor for cooking. 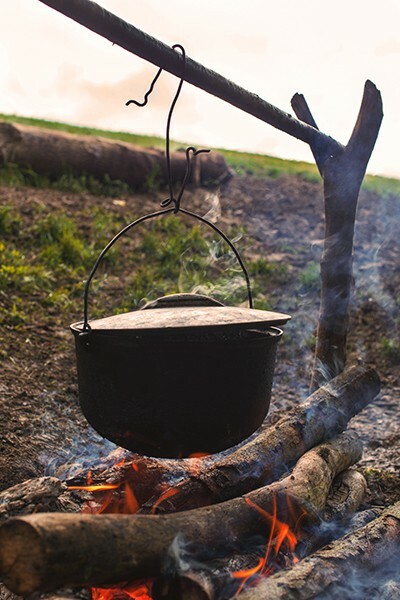 A better design for cooking is a long fire between two logs, or in a shallow trench. With this design sticks can be added to the fire at one end to create embers and then these embers rolled to the cooking end as required. A star fire is also good for cooking, but I have found that these only work with really dry wood which is unusual in places like Britain. The star fire design is where 3 to 5 logs are arranged radiating like the spokes of a wheel and a small fire is lit in the centre. As the log’s ends burn down, each log in turn is pushed into the centre a little. 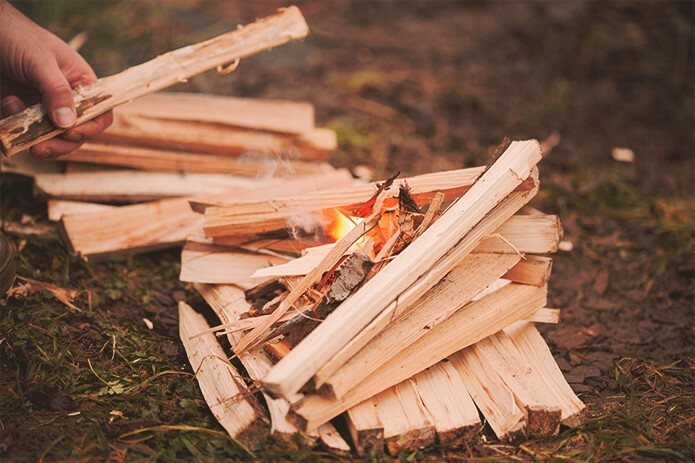 It is surprising how much fuel wood a campfire will burn during an evening, so be sure to gather enough while it is still daylight. Hunting for dry branch wood after dark with a torch is difficult and unwelcome. 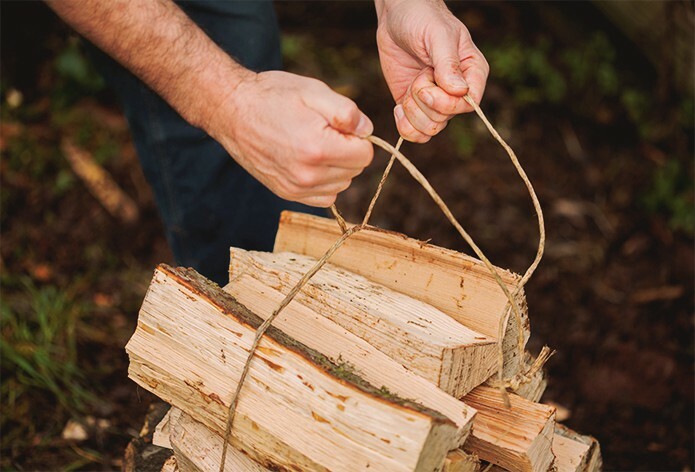 The golden rule in gathering firewood is to not take sticks from the ground, unless the weather has been exceptionally dry – in which case you should question again whether it is safe to be lighting a fire. When out gathering wood for a campfire I carry a small folding saw and short length of rope. I use the rope to gather dead branches that are just out of reach and then later to tie my stick bundle together. My preferred woods are: beech, hornbeam, elm, any maple including sycamore, hawthorn, blackthorn, fruit woods, hazel and ash. These will all burn well producing good embers. Almost any other branch wood will do as long as it is dry. You may notice that I have left out English oak. 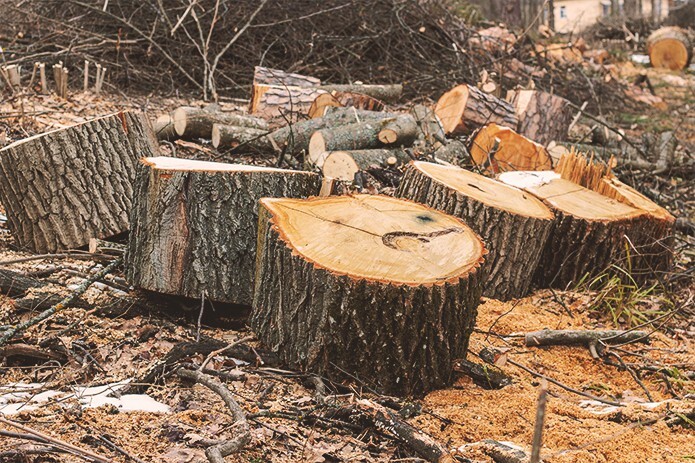 While well-seasoned oak logs make an excellent fuel for the home fire, the dead branch wood is generally largely rotten sapwood and will burn poorly making lots of smoke. If, however, you find sticks of the iron-hard heartwood from a stag-headed oak, gather them all as these are superb firewood. 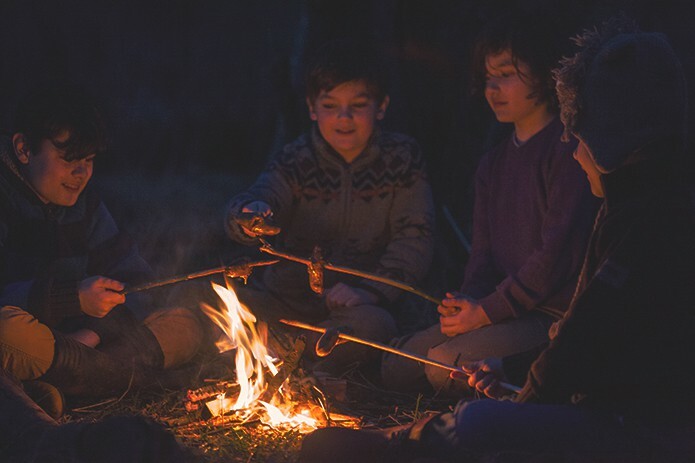 The good woodsman will carefully note the wind direction before laying and lighting the campfire. Even the lightest breeze is important. On a cold day you may note the direction your breath blows, on warm days throw a few stems of dry grass up into the air and watch how they fall. This is good practice as you should light a fire on the upwind side. Build the fire by first laying a small ‘raft’ of straight sticks, I find those of 1 to 2 inch (25-50 mm) diameter most useful. Your fire is to be built on this platform which acts as an inflammable base, shielding the early fire from the damp ground. Next I lay a V shape of criss-crossed sticks where the V is pointing downwind. 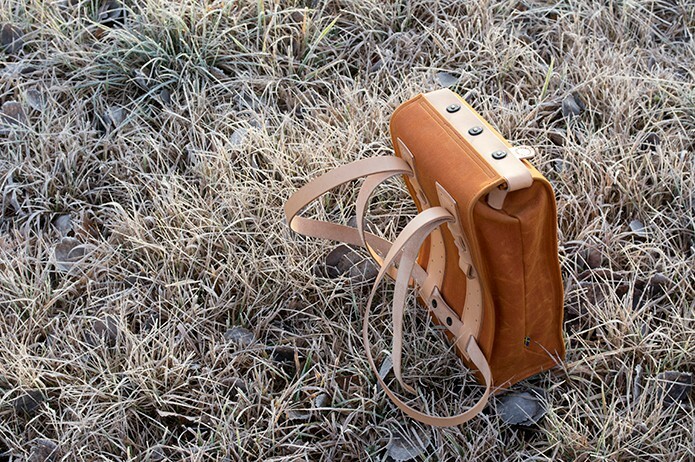 The space within this V is then filled with your kindling material. I use tiny dry sticks, many no thicker than matchsticks, mixed with scraps of torn cardboard, birch bark or dead gorse. If I need more than three matches to light my fire, I feel I have failed. Once my kindling has caught I quickly lay about a dozen straight sticks of roughly half inch diameter across the flames. The fire must be tended carefully at this stage, being fed one stick at a time until you are sure it is well alight. I think it useful to note that absolute masters of the campfire tend to build small fires, never being bigger than they actually need. I have read accounts of both Australian and North American aboriginal people finding ‘white men’s’ fires laughable. Apparently they watched as masses of wood was gathered to light a fire that was so big that the people who built it then had to move back as it was too hot. I would urge all of us, out of respect for the environment and other campers, to learn this craft and not build our fires any bigger than we actually need. The recent sharp rise in the popularity of wood-burning stoves is very welcome as they are materially more efficient than the open fire. 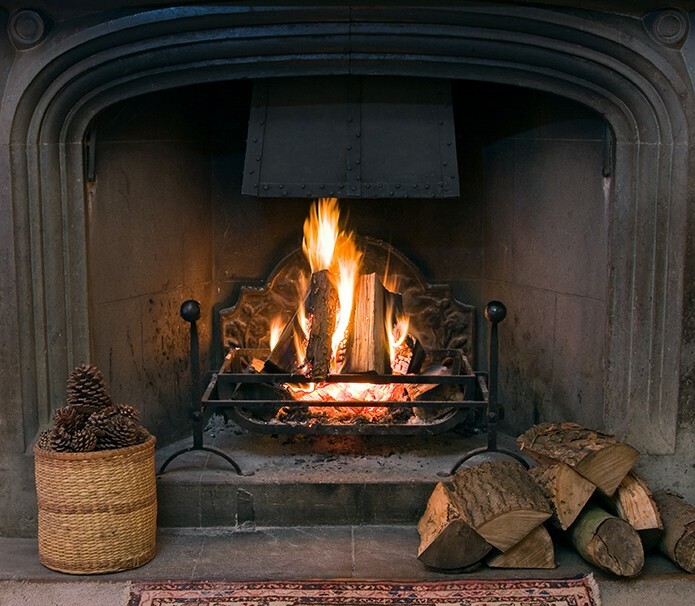 However, the open fire still has its place in many homes, pubs and hotels and here we shall consider both. But just before we look at them, I want to highlight the critical difference between the open fire and the stove. 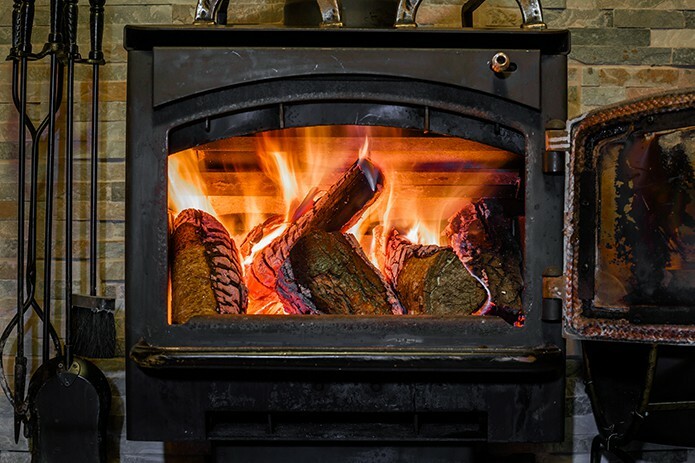 Good wood stove technique is primarily the management of the air draft; the hot metal will then radiate the heat automatically. 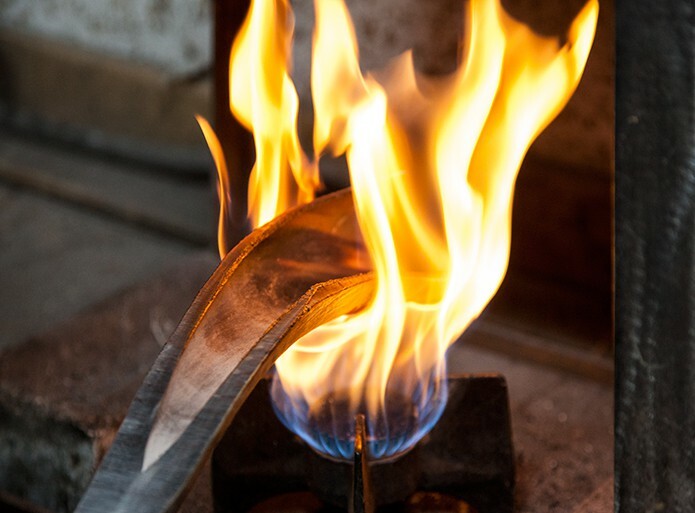 Good open fire technique is primarily the management of the glowing embers; you have little control over the draft and can easily accidentally shield the embers and significantly reduce the radiant heat. The wood burning stove is very forgiving as regards the type of wood you are burning. 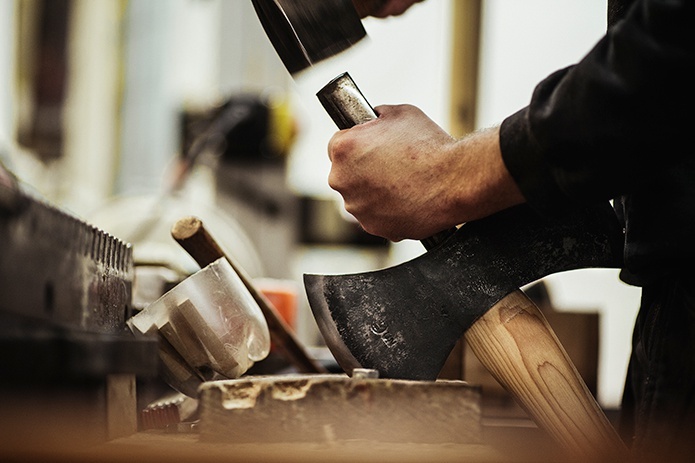 There is no need to avoid those woods that throw sparks, such as larch and sweet chestnut. To light my stove I lay a long log at the back with a shorter log down either side resting on it. I place my kindling and pre-kindling in the centre space between these logs. I find that laying my fire this way uses the least kindling and gets the wood stove burning fairly quickly. For the first hour after lighting the fire I am generous with the logs, I want to get the stove good and hot. From then on, in all but the coldest weather, I feed my stove just enough to keep a low fire burning. 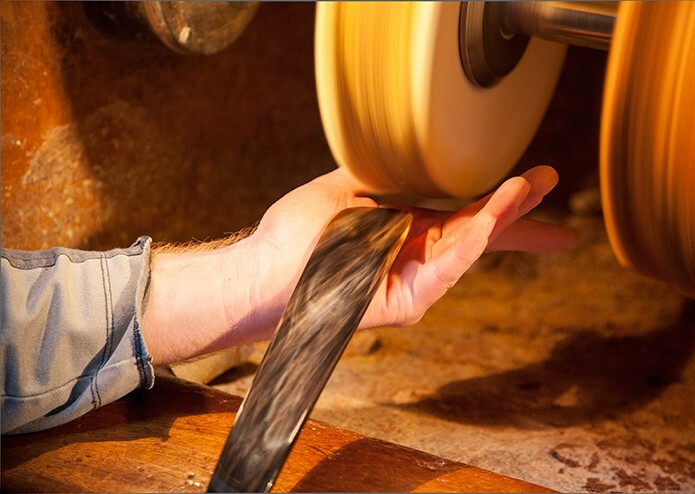 I believe the most important thing in tending a wood stove is the control of the draft(s). Some stoves have only one vent, most have more. Remember that roughly half of the heat energy within a log is in the pyrogenous inflammable vapours (visible smoke is largely made up of these vapours). It is important that there is a steady flow of air up through the fire, allowing the carbon within the log, the char, to oxidise. But there must also be a flow of hot air above the fire, to give the smoke enough oxygen to burn. When you have this balance right your fire will burn virtually smoke-free – this is efficient and good for the environment. The open fire needs more expertise to burn well. It is helpful to have a reasonable knowledge of the different woods, avoiding those that spit or burn too quickly. I lay my open fire, ready to be lit, in much the same way as I do my woodstove. 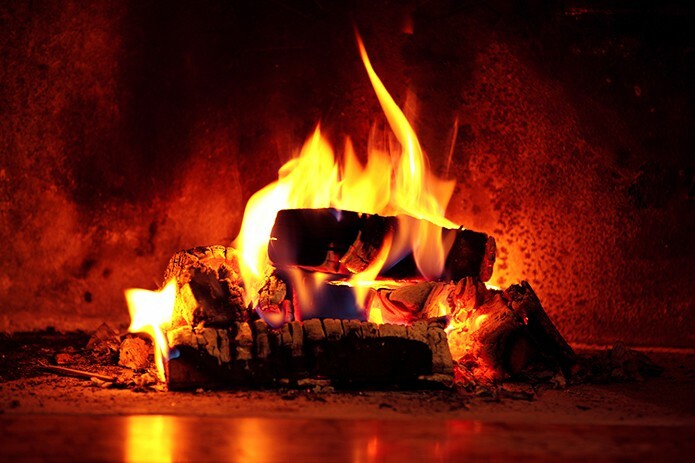 To help a cold chimney start to draw, some people would hold a large twist of burning newspaper in the chimney to create a current of warm rising air. With a small fireplace the same can be achieved by holding a large piece of newspaper or cloth across the upper part of the hearth. 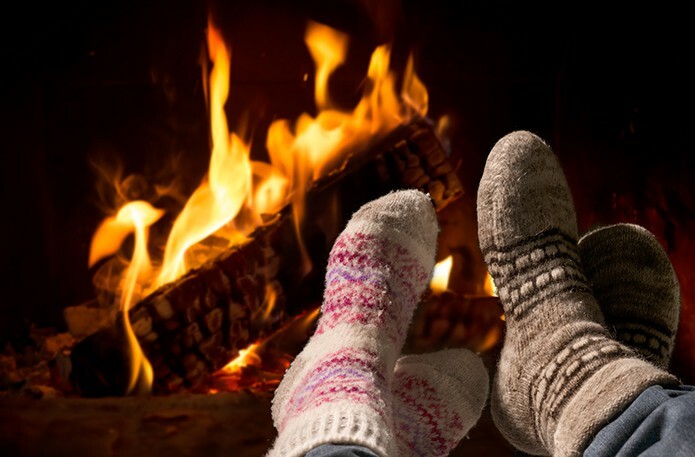 Remember to have the chimney damper fully open when lighting the fire. I believe there are a few simple rules to making a good open fire in the home. The first is to light each new fire on the ashes of the old fire. 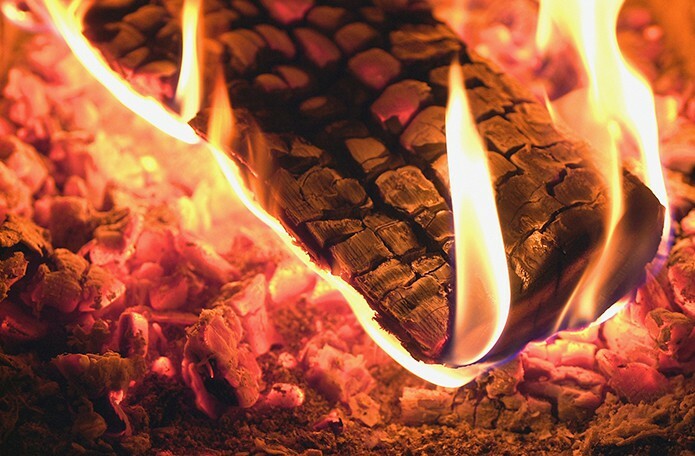 A wood fire burns best on a bed of wood ash, the glowing embers settle into their soft white bed and radiate heat for far longer than if the fire is burning on an iron grate. Experiment with using a back-log; this is the old way. The back-log sits at the back of the fire where its entire surface becomes charred and will start glowing – the result is masses of radiant heat. Traditionally the backlog would be a chunk of oak, elm, thorn or yew. Are Wood Fires Worth the Trouble? 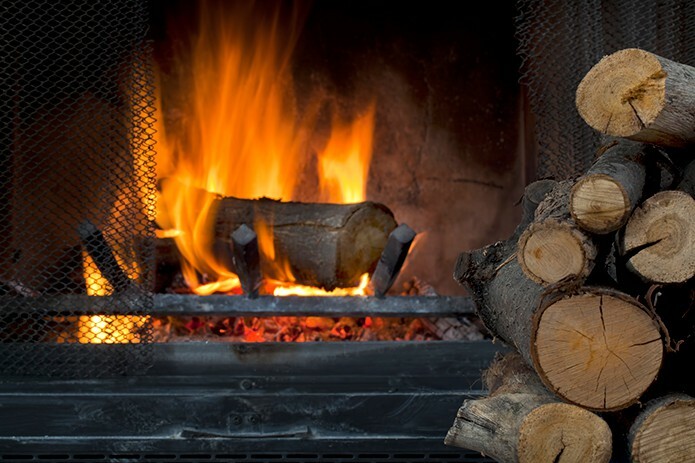 Adopting wood fires as part of your home heating plan is to accept a lifetime of carrying wood, chopping logs and kindling, cleaning out ashes and accepting the scraps of moss, bark, wood chips and the occasional insect that will find their way into your home. But for me this is a very small price to pay for the health-giving labour and soft glow of firelight in my home. I love the gentle tang of wood smoke and the simple honest earthiness of it all. As the price of all the other heating fuels soars and the threat of winter supplies being interrupted increases, I look at my full-to-bursting autumn woodshed with a singular pleasure. Vincent Thurkettle is a woodsman. He first studied woodland skills at Dartington Hall in Devon when he took the Royal Forestry Society’s, ‘Woodman Certificate’. Later, as a manager with the Forestry Commission, he became a Chartered Forester. His family home and expedition camps have always been heated with wood fires. He published ‘The Wood Fire Handbook’ in 2012.